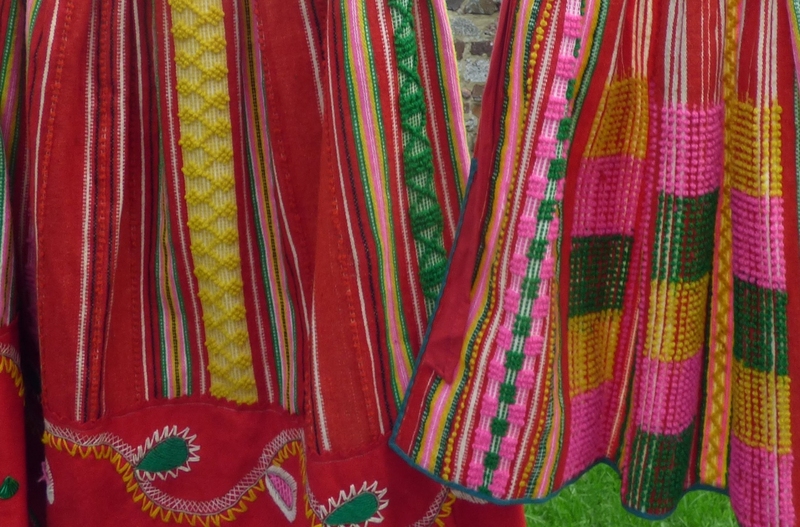 The Portuguese costume pictured below is from the region of Minho, and is the most well known regional costume from Portugal. It was loaned to us by Elsa Perez of the London based Iberian folk dance group. The white cotton long sleeved blouse is embroidered in blue on the sleeves. There are two fringed scarves; one tied with the tassles on top of the head, the other around the shoulders and crossed in front.